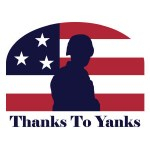 Registration for the 11th Annual Thanks To Yanks 9/11 Tribute Dinner closes August 31st. The dinner is FREE to all military members, veterans, their families and emergency response personnel; it is simply our way to recognize and thank them for the sacrifices they make in order to ensure our freedoms and safety. The first dinner hosted 120 guests and has continued to grow each year with 450 guests in 2016.
conscious decision to Refuse To Be A Victim®. You stand a much better chance of preventing criminal attack if you develop a safety plan before you need it.